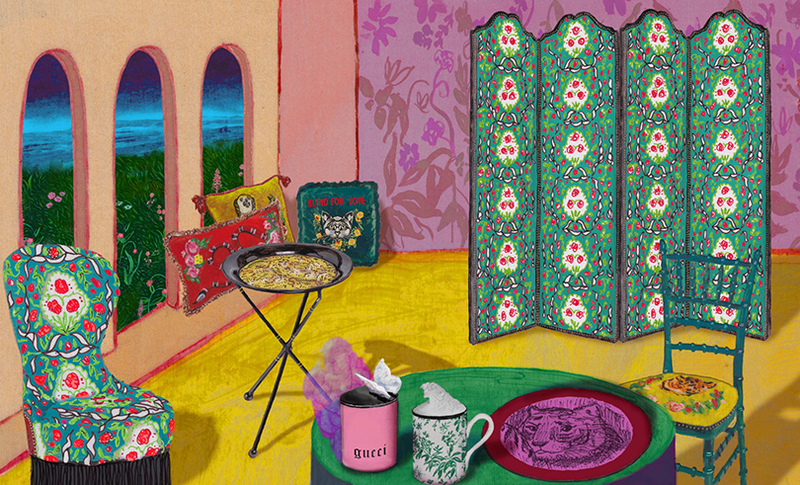 The art of living bright: Gucci launches a collection of interior items - from candles and pillows to hand-embroidered chairs and decorative interior screens. 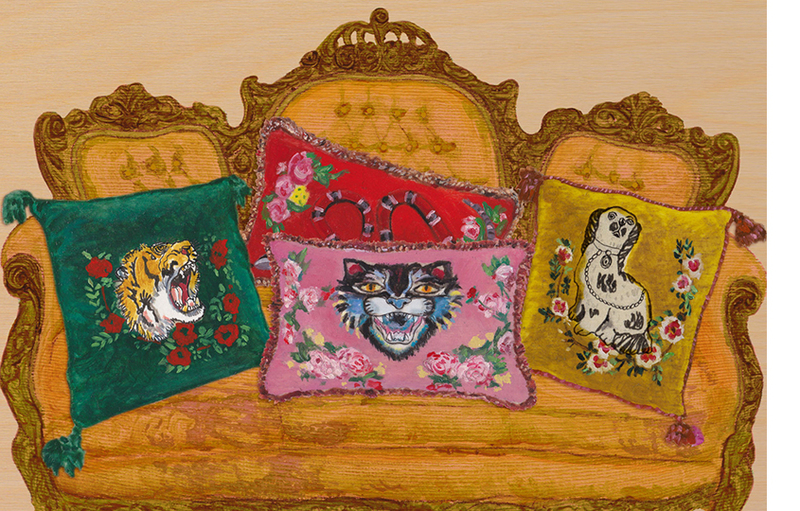 If you are close to the eclectic aesthetics of Alessandro Michele, the creative director of Gucci, succeeding Frida Giannini and breathing new life into the Italian fashion house with almost 100 years of history, this news is specially for you: yesterday it became known that the brand launches a collection of home accessories , echoing the stylistic solutions of the prêt-à-porter collections. Objects of the interior - tableware (cups, plates, dishes and trays), textiles and even furniture - will continue to be given by the designer motifs with the help of similar fabrics, prints and embroideries, not to mention the color scheme, in which, of course, Michele's favorite mustard- yellow, pink and blue shades. "The brand is pleased to announce the launch of the Gucci Decor line, an eclectic collection of items that can impart character to any residential space of our customers. Our idea is not to provide a whole decorative image, but to offer elements that can "customize" your home, "- said in an official press release of the company, in support of which Instagram presented a series of illustrations created by the artist Alex Merry, working in a bright and expressive manner. The launch of Gucci Decor is scheduled for September of this year. The prices for accessories, many of which are hand-embroidered (this process takes about 10 hours per item), are expectedly high: thus, a scented candle will cost you about $ 190, while a luxurious decorative screen made of natural printed silk will be cost at least $ 30,000.